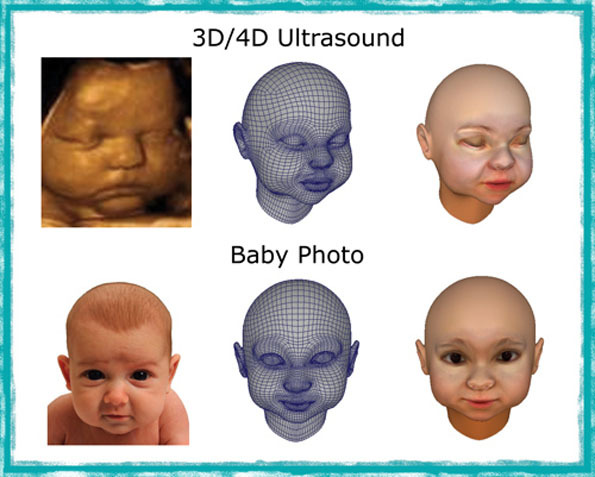 Babies are weird! Where do they come from? I don’t know. It’s one of life’s biggest mysteries I guess. 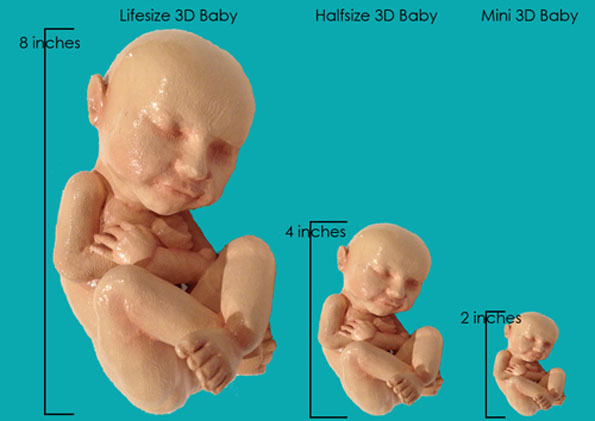 But now a company called 3D Babies is selling customized 3D printed models of your fetus. The things are selling for $200 for the mini, $400 for halfsize, and $600 for the full 8 inch version. But wait, there’s more! 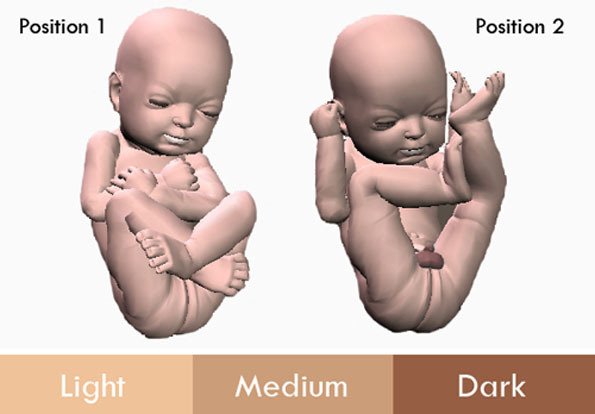 You can choose from two different positions: fetal position, which seems appropriate, or hands and feet up, which seems completely inappropriate. I mean, unless it’s gonna be the centerpiece at your big gender reveal party. Which… yeah, now that I say it outloud, I wish I hadn’t. Believe me, I would take it all back if I could. 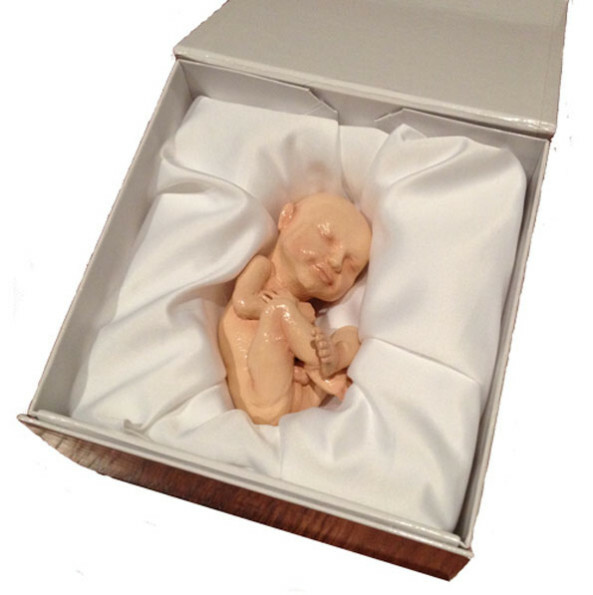 If having a 3D model of your unborn child isn’t crazy enough for you, the company has upped the crazy stakes to completely batshit levels: you can even buy a mini 3D replica of celebrity baby North West. And if that isn’t crazy enough for you then YOU NEED HELP IN A BAD WAY, MY FRIEND. Is it just me or do these models look nothing like the original photo? you need a hug. I have a strong feeling this was developed for people who have lost babies. These people aren’t crazy, these people are in mourning. Yeah, that’s the issue with these things. My son was taken from us at just 20 weeks old… I agree with Becca that this is likely something that people in mourning could cherish. If I had the money for a printer I would do this for free for couples who lost a child. I like this idea but keep in mind this is coming from 28 yr old who lost her twin in utero and watched 1 of next twins survie and other die at age 4. I can see many useful applications though postion 1 is more pleasing.